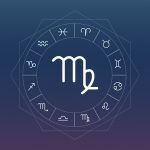 Sun in Virgo: what does it mean? Sun in Virgo makes people restless (mentally speaking and not physically) and they are always in search of perfection. If you have Sun in Virgo, it is important to know what else the Sun in this sign holds for you, since it is the key point of our natal chart. Let’s find out! Sun in Virgo makes the chances high on you being a king or queen of analysis. They are individuals who scrutinize everything that is offered and not only that. Because they are curious by nature, they also go after things, researching and studying about everything in the smallest details. When the Sun is in Virgo, take the time to study, declutter the house, and do minute things with your hands. Or redo something that looked sloppy, make it better, and get into that problem we always procrastinate solving. You will definitely solve the puzzle now. Despite the mind at a thousand miles per hour, they are calm people and love to have a well-defined routine. New things require some adaptation time, and Sun in Virgo does not seem to like it very much. Because they usually do everything very well done and this result is easier to achieve when there are repetitions and no surprises along the way. Practice leads to perfection, that’s what they say. These people can be compared to soldiers, who work very well with order and discipline. They are excellent observers and precise in their movements, preferring not to be in the center of attention. This careful and detailed approach combines more with a “behind the curtains” personality. Despite this apparent armor, Sun in Virgo offers intuition and investigative side, as a protective instinct to perceive things that are wrong. They can not stand stay still and need to feel useful. They love helping others by solving complicated problems that seem to have exhausted solutions. The dedication they lend to others’ problems is admirable. They are respectable people who always seem to be there when friends need them. However, all this analytical and solving facility that Sun in Virgo has disappears when it comes to their own life. The paradox of Sun in Virgo is that they analyzes things all the time (and doing that they already know or at least have an idea of how situations can go) but at the same time they feel insecure and fearful. Risks, adventures and challenges sound like a horror story to Virgo for sheer lack of self-confidence. And it is very common to mask this flaw with sarcasm and criticism of others, as if they could not be perfect, not the others either. As Sun in Virgo has high bodily awareness and health, it may have an exacerbated concern with it, bordering on hypochondria. They can also easily become obsessive with certain situations, getting trapped in time and in the past. Sun in Libra: what does it mean?